I read a blog called June Cleaver After a Six-Pack . It’s a fairly irreverent look at life by a military wife as she handles daily trials and tribulations. She has an interesting perspective on all sorts of things and is a ton of fun to read. Anyhow, she interviewed me for a piece on her blog called Swooning Over A Regular Joe… With a title like that, how could I possibly refuse? June sent me a bunch of questions and I answered them as best I could. If you get a chance, drop over and have a look at her site. It’s a lot of fun! It was pretty strange answering her questions and participating in this interview. You know, it is sort of cool to talk about myself, but it’s also a little freaky and vain. I am not sure how many people might see the post on her blog, but it is still strange to think of how people might take the words I wrote, miss my intentions, etc. Luckily, I am a guy so I don’t really care what people think. In fact, I am completely oblivious to social cues in general (maybe that’s just me, not guys in general?). When I started blogging, I debated how much of the real me I wanted to put out into the ether. Did I want to use my real name and talk about the city in which I live? Should I show my kids’ faces or talk about my friends? After a lot of debate, I decided that the world is mostly good and that I am not really important enough for it to matter if I put myself out there a little bit. So far, it has been a lot of fun and I have met a few people and gotten to know them a little better, even though I have never seen their faces. I guess the internet might make life a little less personal, but in a way, I have gotten a little closer to people than I might otherwise have been able to do. So, here’s to blogging and to laying it on the line. Thanks for the fun June! So, our cat Mohinder is a growing boy. He wants to eat constantly. It’s not actually constant eating of course, but he always seems to be hungry when we want to sleep. Madeline has become patient with our sleeping/feeding schedule but Mo is terribly persistent about eating whenever he is hungry. Typically, he will jump up on the bed and carefully grab a bit of Emily’s hair in his mouth and gently pull it. It’s not meanness and it doesn’t hurt, but it is annoying to be sure. Of course, I have no hair so he can’t wake me in the same way. On the few occasions he has picked on me, he gently nips on my nose. As you can imagine, that has gotten pretty old so I started to tinkering. I am going to post some ideas that I am fooling with and will show the finished product at a later date. The basic idea I am working with is to have a digital alarm clock trigger some electronics to open a stripped down computer cd-rom tray. 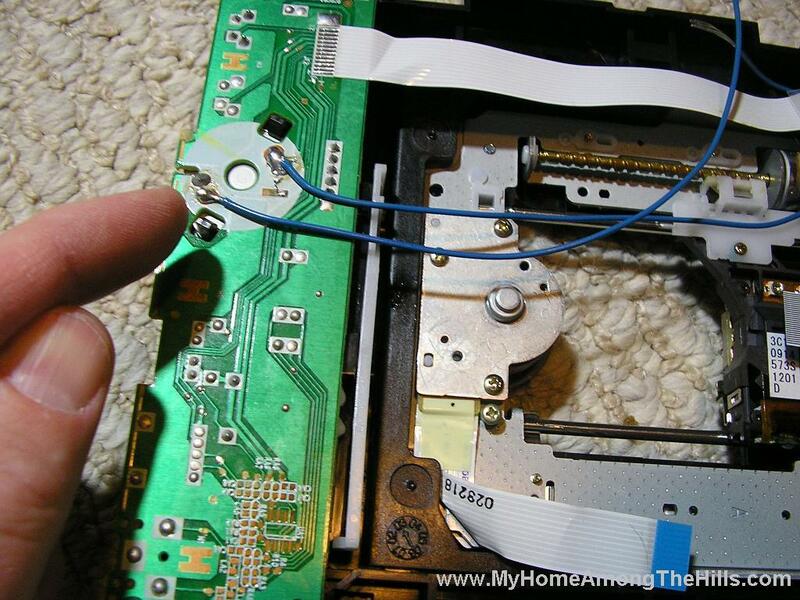 I think the mechanism on a computer cd-rom is pretty nice and will work perfectly as a gate to let the cat food fall from a hopper into the cat bowl. I started by salvaging an old cd-rom from the junk bin at the office. I stripped all of the electronics out of it (basically, I just pulled off anything that wasn’t the mechanical stuff that opens the tray. With a little experimentation using a 9-volt battery, I was able to find the motor that drove the gears to open the drawer. I bought a new alarm clock to trigger the electronics to trigger the motor that opens the cd-rom. I opened the alarm clock and found the wires that connect to the speaker for the alarm. 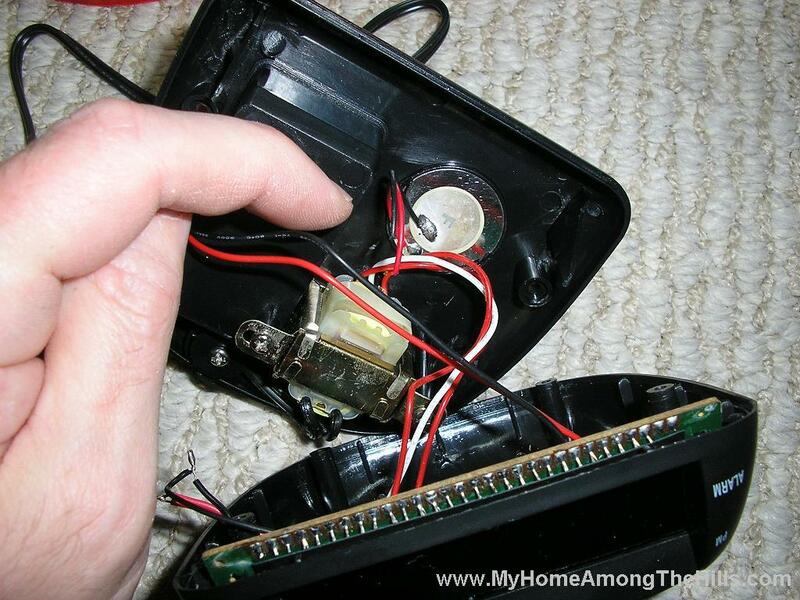 A quick hole in the sidewall of the clock allowed me to pass the wires from a 9-volt connector to the wires that used to connect to the speaker. I closed the clock back up and was able to measure the current in the 9-volt connector when the alarm was (silently) going off. In other words, when the alarm goes off and would normally sound the alarm, it now send an electrical pulse out through my 9-volt connector which runs outside of the clock. My plan is to have the power from the intercepted alarm signal drive a relay which allows a larger current to pass through it and a transistor. 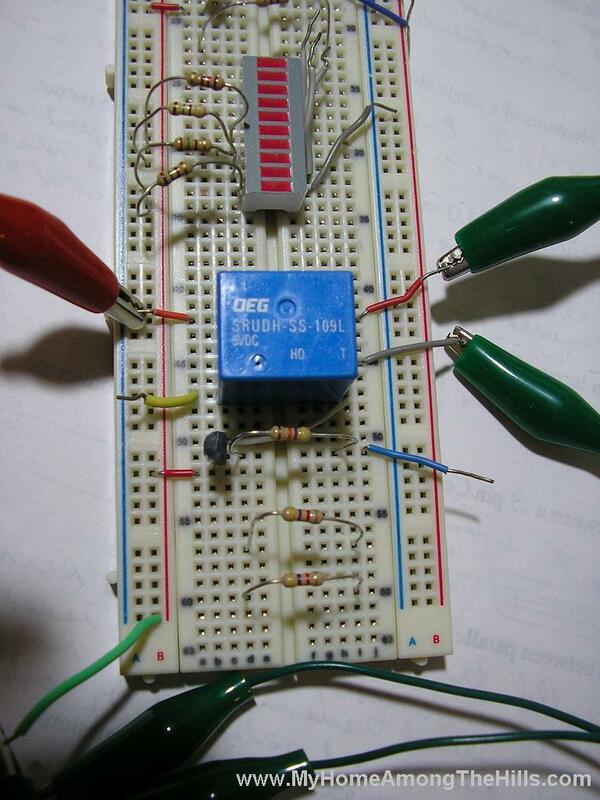 The relay and transistor work as a basic switch to send power to the cd-rom motor. I wired this all up last night and all of this stuff works just fine. I am sort of experimenting now with how to get the drawer to actually deliver the catfood. My plan is to have the drawer push open a slide or else be the slide that opens the hopper of food. The real challenge is to figure out how to make all of this stuff cat-proof. Mo is persistent and has a lot of free time and has gotten in to the most unusual things. Anyhow, these pics are an overview of the project, meant solely to both confuse and amaze. I’ll post the actual schematic and the finished product another day when I get it all figured out. Anyone have any thoughts about cat proofing stuff? I mentioned the other day that we went to the WV car show over the weekend. My main purpose was to see the General Lee of course, but we did see a few other cars. We aren’t immediately in need of another car, but Emily’s ride is 11 years old (but still kicking!). We decided to just look around and see what tickled our collective fancies. Emily has been checking out the ads for the Ford Mustang so we decided to take the floor model for a test-sit. My hindparts fit very well in the passenger seat and Emily looked three kinds of hot in the driver’s seat. The gas mileage doesn’t look too bad and the price is fairly reasonable (if we get the vinyl seats, AM radio and pass on the air conditioning). I have always tended towards Corvettes but I can definitely see the four of us cruising to the tastee-freeze in a Mustang. “Emily is sold on this thing!”, I thought to myself. I can keep on driving the man-van with the promise of moments of glory here and there! Something clicked and all of a sudden, my real wife returned. “How will we haul all 17 of the kids’ friends in a mustang? What about when I need to haul 16 feet of gutter? Or what about…”, I tuned out. Practical smactical. We still have the man-van. We can haul plywood and bees and kids in it. We’ll still take it on long-drive vacations. We can have the mustang for Friday night date night…though hauling loot from Sam’s might be a challenge in the mustang (that’s Friday night date night at our place). Well, since my life is not my own, I spent the rest of the evening roaming through the great halls, stunned I suppose, looking at practical, suppository-shaped cargo carriers. I want my wife to get a mustang. I don’t need to drive it all the time. I think she should. Practical? Forget practical! 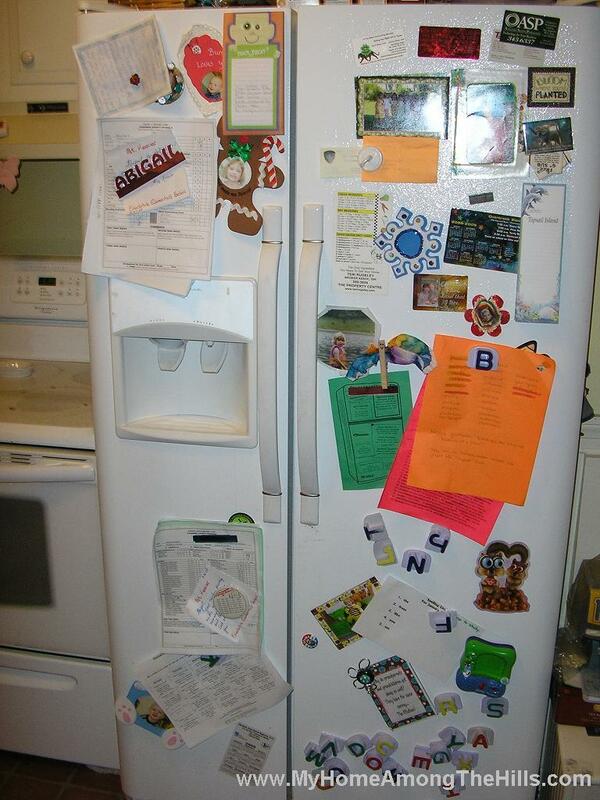 Like many refrigerators I have seen, ours is an exercise in chaos. Both kids pretty much get the alphabet now but we’ve retained the magnet letters for some reason. We occasionally form up some clever words but there is a limit to what can be spelled out. In addition to the letters, the refrigerator serves as our command center of sorts. All things kid-related are stuck to the front door, held in place by magnets that are one sheet of paper from being over-taxed. Mo, one of our cats, seems to always push the envelope of magnetic tolerance and periodically clears the lower reaches. I came across this post and it seemed like the perfect change…the fridge was just crying out for a change. I junked a bunch of stuff and threw this marble run together pretty quickly. 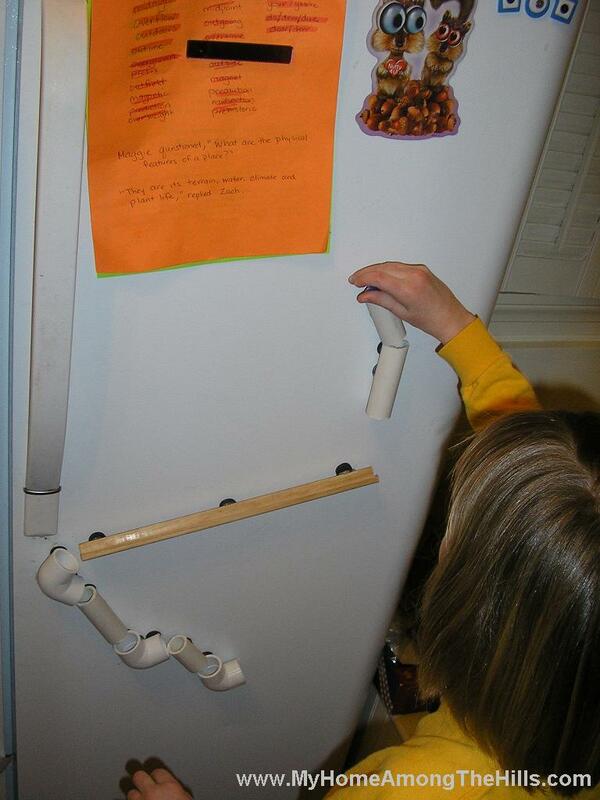 Hot glue + magnets + plumbing odds and ends = fun! Abigail and I messed with it quite awhile after supper until bed time. I am sure that we’ll mess with it more this evening. She was pretty quick to get the point of how the marble we were using knocked down through the system. 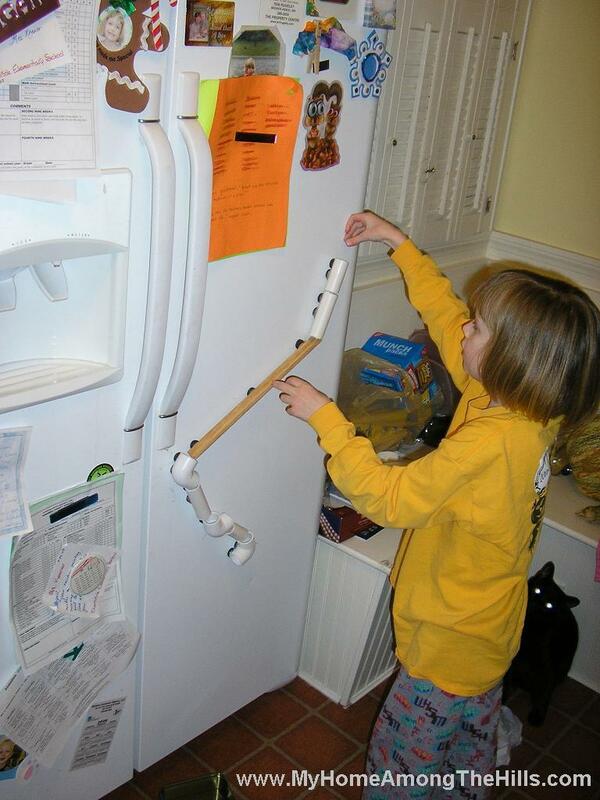 Unfortunately, she also had to see the underside of our oven and refrigerator as we tried to recover renegade marbles that understood physics better than we did! Mo our cat was, of course, terribly interested in the entire bit of fun. He kept standing under the outlet and got thumped a few times watching the marble come down! My Dixie dream come true! The WV car show came to town this weekend. In general, I couldn’t really care less about new car models, horsepower, etc. I mean, I like horsepower. I used to like to drive fast until I got my first ticket. That first (and last) ticket came in 1995 and cost me $155. The cheapskate in me kicked in and I rarely speed any more. It just costs too much. Anyhow, I don’t read Car and Driver or Off-Road Hero or anything of the sort. I like a car/truck/van to get me where I am going and that’s about all I care about (point of proof, I drive a man-van..the dreaded minivan…but it’s outfitted with XM Radio so I can blare the hottest hairband tunes from the 80s). We jumped in the man-van and headed downtown to check out the latest from Detroit. Upon entering the door, what do my wonderous eye behold, but the General Lee…yes, THE General Lee. 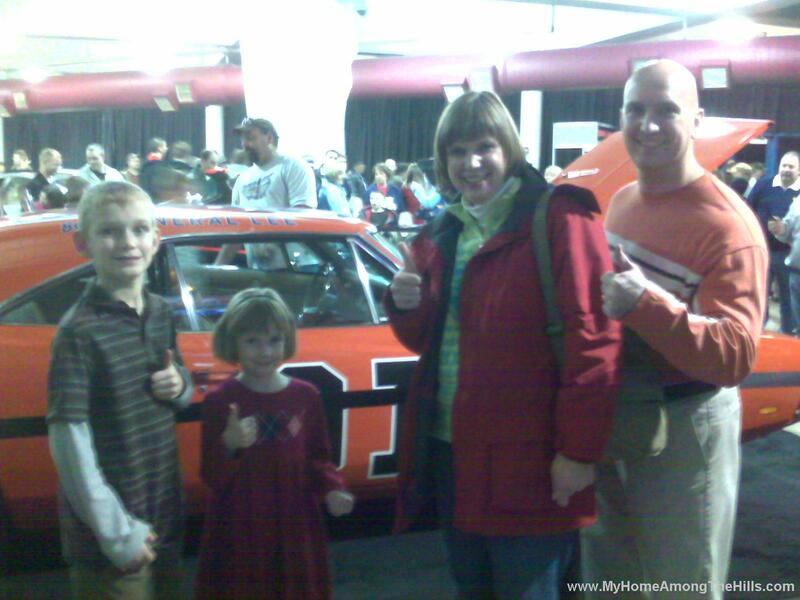 Now, in case you don’t recall, I sort of have a thing for the Dukes of Hazzard . Emily bought me the entire DVD collection of the Dukes for Christmas this year. The Dukes rate second only to my M*A*S*H DVD collection. My children mean almost as much to me as these collections. Just kidding…anyhow, the kids and I (they are so awesome – the kids like the Dukes a lot too…we’ve been watching episodes over and over…still on Season 1!) stood and drooled over the General for at least 10 minutes. We didn’t speak. We just had a connection. It was 3 with the machine. We were mere inches from my Dixie Dream! I suppose there were other cars in the auditorium, but I had seen the promised land! I wish I had a better picture than this but the lighting was awful…still, I am proud to share this special moment with you! My wife accused me of trying to be Jack Black with the title of this post. Although I do look pretty fantastic in wrestling tights, I don’t have his kung fu or guitar skills. Instead, I have to rely on my skills with a hot glue gun. This week I have posted about all sorts of domestic stuff so it’s about time for a little manly mayhem! 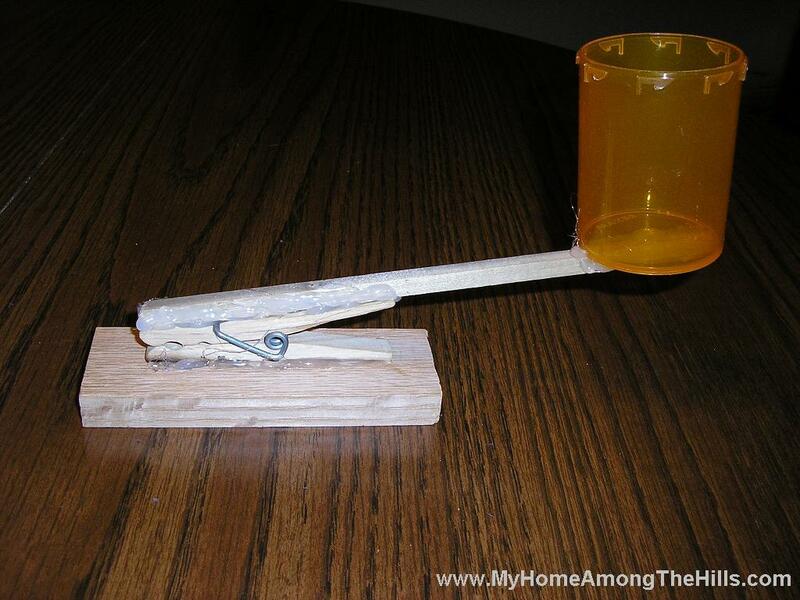 The kids and I made a catapult last night. I recently finished out a bottle of medicine and hated to see the bottle just go into the recycle bin. The bottle is just too pretty… I mean, the color instills fear in the recipient of the catapult’s action! Anyhow, with a few minutes, a couple of pieces of scrap wood and a hot glue gun, we made a catapult which we used to launch Jolly Ranchers into Isaac’s mouth. We had to mess with the angle of the base to get better distance, but Isaac was willing to dive for a few until we figured it out. We found that by lifting the back of the base, we could launch a Jolly Rancher quite a distance. 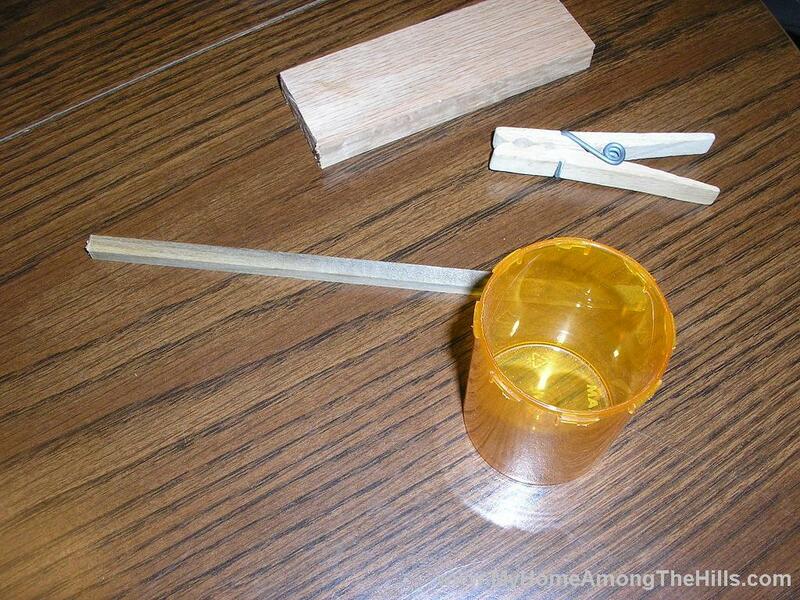 As part of the fun, we learned some about the physics of catapults and also the history of seige warfare. Isaac knew that the spring stored energy when flexed. We talked about momentum and kinetic/potential energy. It was a pretty quick project and I think we all learned a little too. I think we may try a trebuchet this summer. We have a compost pile ripe for attack! I think we’ll revisit this project in a few years and do a little experimentation. I would like for us to experiment with the length of the catapult arm, the angle of the base, the tension of the spring and the distance the arm can travel. I think we are a little young for too many calculations, but we may try this outside this summer with a bigger setup that we can really play with! It’s been cold here and I have such a delicate, pretty bald head. Without hair, I never have to worry about messing up my do or getting hat head. It does leave me with a heat radiator in the winter and an overactive solar panel in the summer. Out of necessity I have a pretty fair collection of winter hats. I was reading Children in the Corn’s blog several months ago and she posted about knitting winter hats on looms. I had never heard of loom knitting but I have tried regular knitting and hated every minute of it (and I spent at least 4 minutes trying…most miserable 4 minutes of my life). 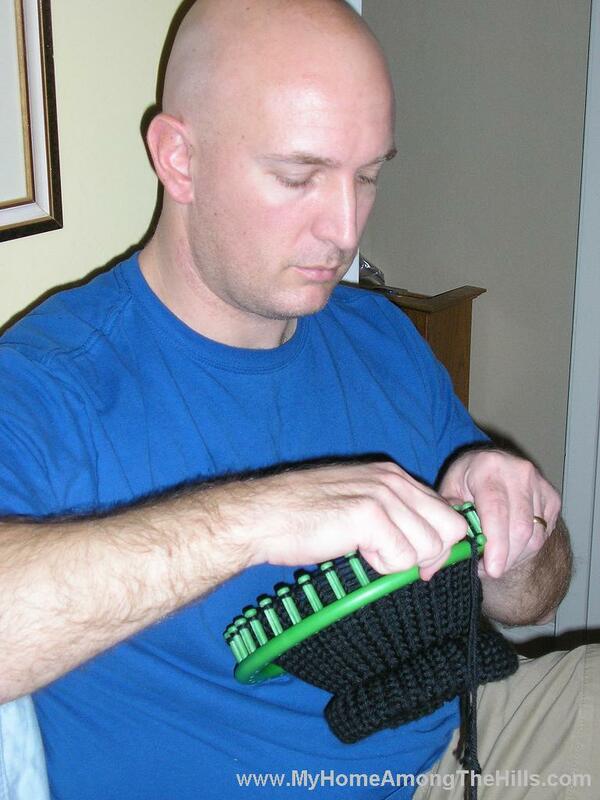 Anyhow, loom knitting looked pretty cool and I figured it was a new fangled thing. I was dying to be at the cutting edge of knitting technology! I found the round loom set by Knifty Knitter at several locations but I was especially happy to find it half price at a local craft store. I picked up the 4 loom set for $7.50. That prompted me to do a little research on loom knitting. It turns out that loom knitting has been around for a long time , possibly since the 1300s . Awesome! I wanted to be a part this ancient art…no need to fool around with the modern stuff…new fangled knitting technology has no place in my home! Well, you know how it goes. There isn’t much new under the sun. I thought I was getting into something new and cool, but instead, I am getting into something old and cool. I posted about my first knitting experience a few months ago. These new looms are of the same type as the first one I tried but are much larger (and more powerful of course!). 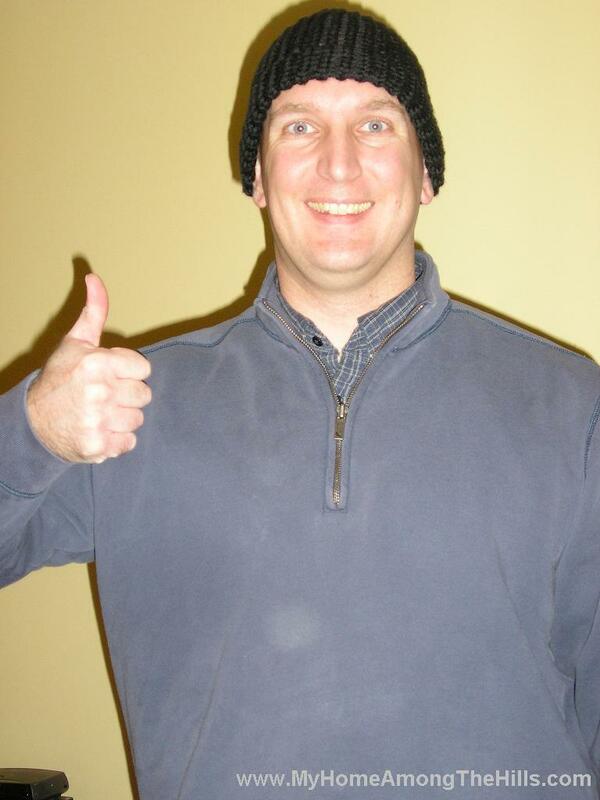 I decided to use my new looms to make a black hat to keep my bald head warm this winter. 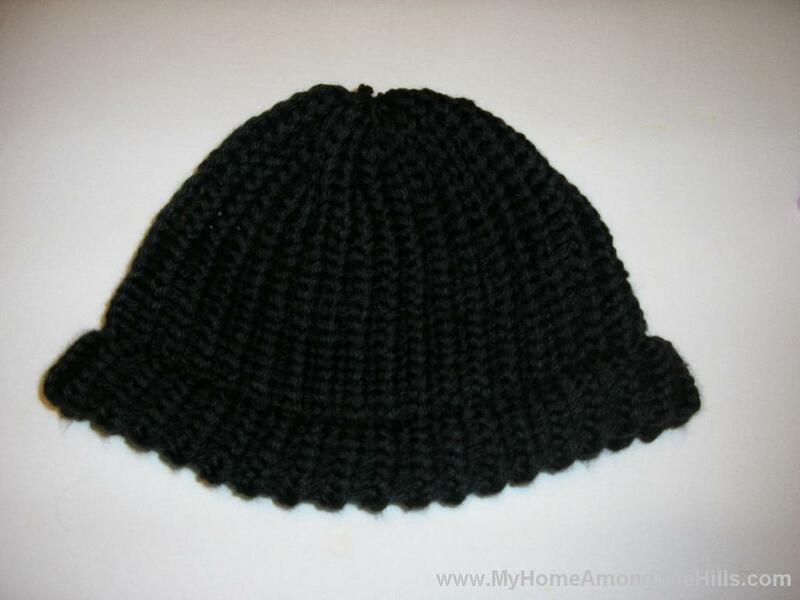 I used regular medium weight black yarn. To make it thick enough to keep the cold out, I used two strands of yarn at a time (i.e. I just bought 2 skeins of yarn and double wrapped each post of the loom). I knocked out my first hat in only 6 weeks. It really only took me a few hours but, like all of my projects , I stretched it out over a sufficient period of time so as to keep my wife guessing. I am pretty happy with the way this hat turned out. It is pretty warm which is requirement #1. The other requirement is that it be cheap. I seem to change hats like I change underwear..at least once every few weeks. I just cannot seem to keep track of hats. They always turn up again, but I hate going outside in the intervening days. Since I can now whip out hats in 3 hours to 6 weeks, I no longer am worried about keeping track of my hats! So I am passing through my 30s (but still easily in my 30s…don’t forget it!) and stuff is starting to catch up with me a little. I like to lift weights at the gym but I am finding that my recovery time is not quite what it used to be. In fact, I had to go to the chiropractor yesterday so that I can continue to function. Anyhow, my blood pressure is too high so I take medicine for that as well. On my most recent two trips for the normal doctor-type poking and prodding, my doc found that my cholesterol is headed in the wrong direction. Who knew that 2 butter crunch donuts and a Mountain Dew every day for breakfast was not a good thing? Anyhow, my doctor insisted that I have only one more try to get my cholesterol down before she puts me on medication (btw, just kidding about the donuts and Mountain Dew!). Medication on its own does not necessarily bother me but what gets me is having to part with money…I mean, Kroger is already getting my $4 per month for the generic blood pressure medicine…another $4 for cholesterol too? I think not! That’s at least 2 Mountain Dews or 3 Tahitian Treats ! 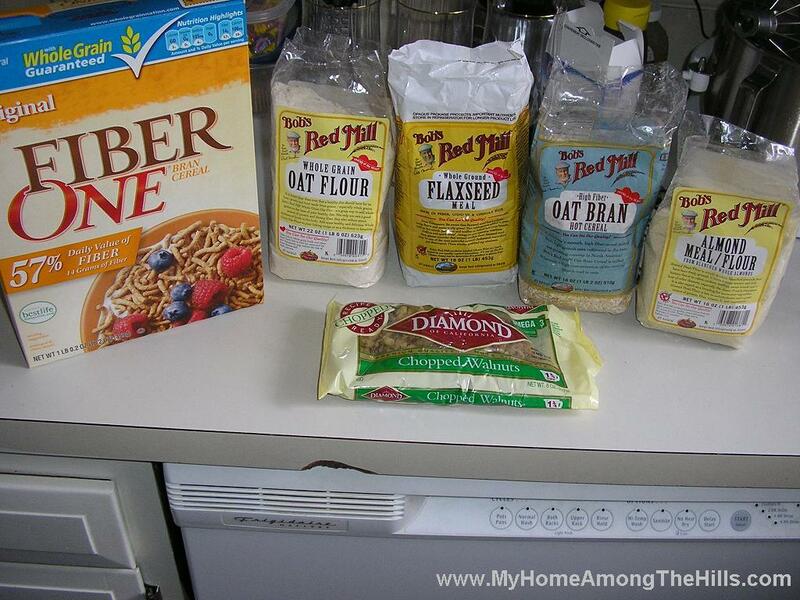 I was lamenting the facts with a friend of mine and he suggested that I try his recipe for fiber muffins. “Hold on old man…I’m not ready for fiber anything!” But then he told me his news…he had high blood pressure and cholesterol and was given a similar ultimatum by his doctor. Somewhere (from out of his hind parts I think), he found a recipe for fiber muffins. I suspect that the original recipe produced sawdust bricks that are typical of fiber muffins. 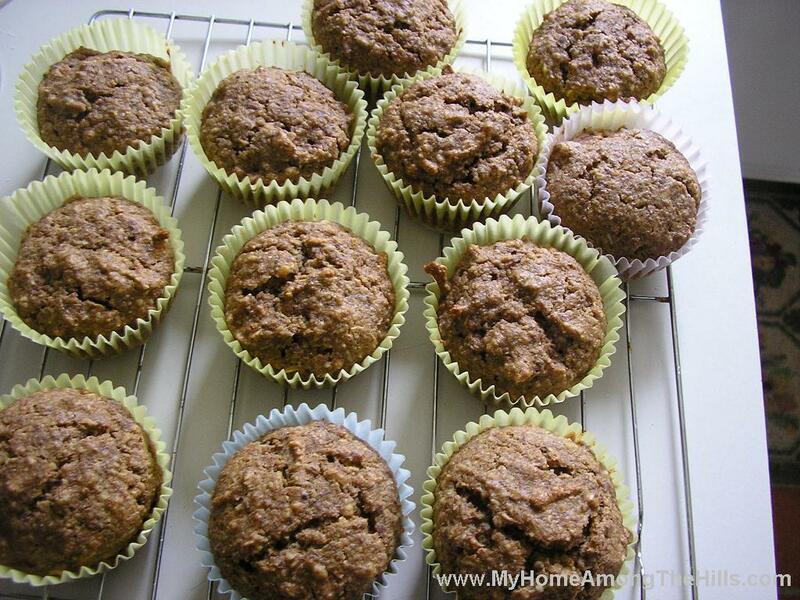 He messed with different flours and ingredients until he created a muffin that was high in fiber and tasted great. My friend started making these muffins and also started a South Beach diet and was able to drop his cholesterol and blood pressure number faster than 2,000,000 people could fill 5000 porta-johns on the Mall at the Presidential inauguration yesterday. My friend was kind enough to share his hard work with me by sharing this recipe and I am passing it on to you, my closest personal friends! I have been eating the muffins for a few days now so we’ll see what they do for my numbers. Anyhow, please feel free to try these things if you’d like. Regardless of their healing powers and miraculous magical properties, they flat out taste good. Of course, there are other issues that come with age which are helped by extra fiber in the diet. 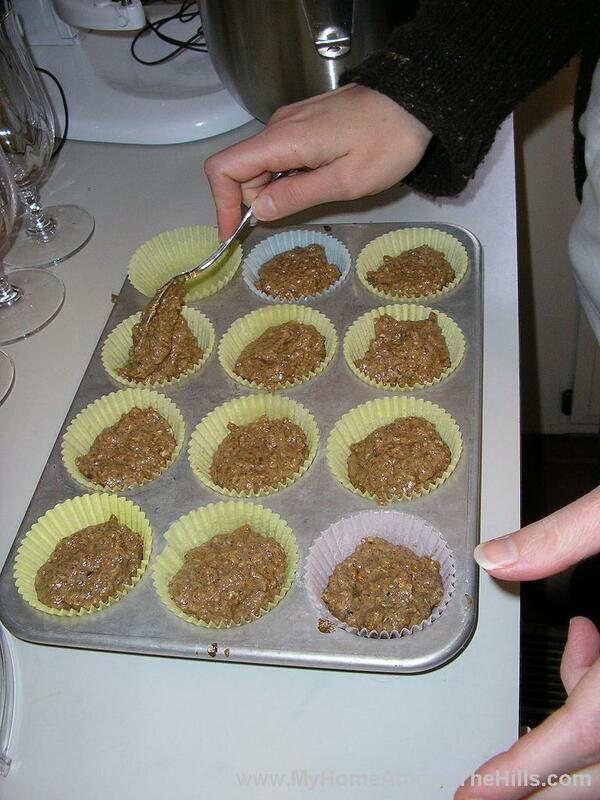 I don’t yet suffer from those problems, but I am told that these muffins are a “regular” cure-all for that as well! 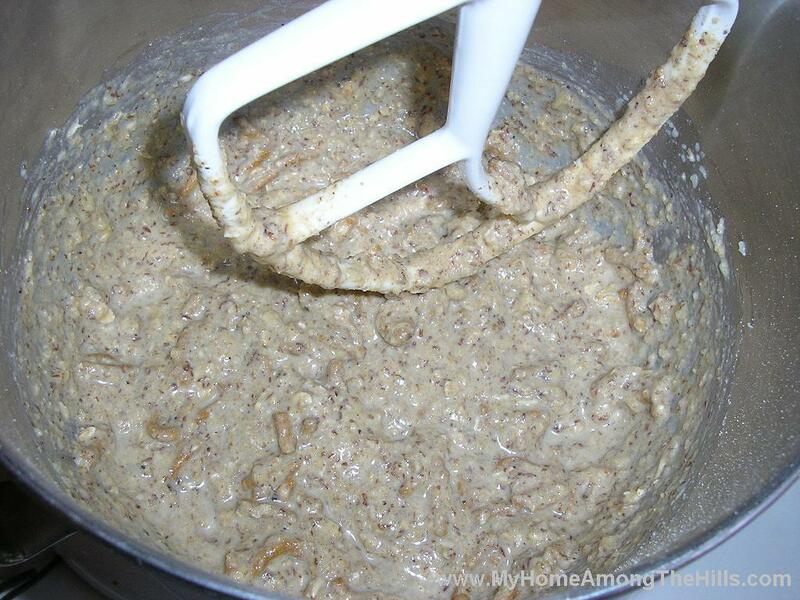 This will make about 30 or so muffins…you’ll probably need to refrigerate some of these as they will go bad quickly (being lots of natural ingredients). In out house, Emily and the kids and I are all eating them so they aren’t lasting long enough to go bad. By the way, the recipe halves very easily as well. 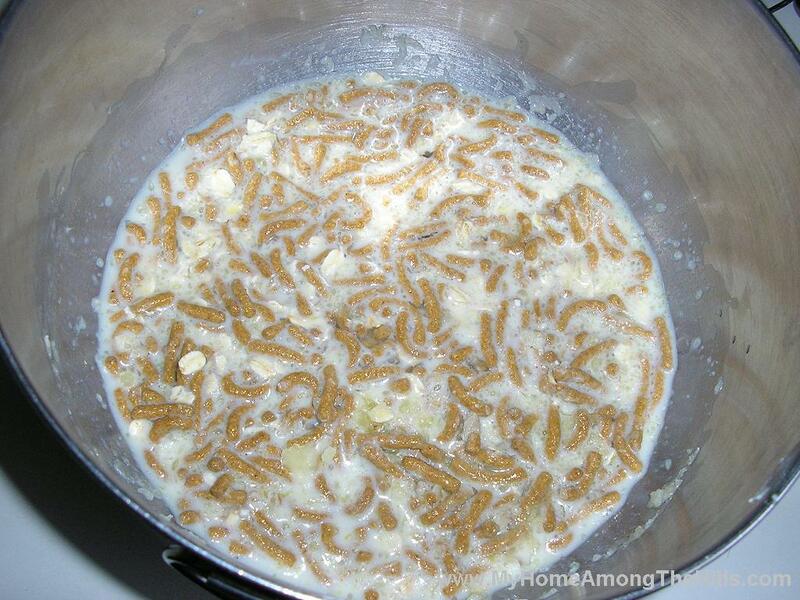 Let me know if you try the recipe. I hope you enjoy! A few months ago, we got a new cat Mohinder. Our other cat Madeline is pretty well trained to stay off of tables and counters. It could be that she’s old and too bitter to jump, but I prefer to think of it as her getting a proper upbringing in a loving home. Anyhow, Mohinder is a much younger, testosterone-fueled cat (though he must have an alternate source as his normal testosterone makers are no longer in his possession). He’s starting to get that stubble on his chin typical of a male going through puberty. So, we’ve made training Mo a family affair. We keep a water bottle around to squirt him when we catch him doing something teenager-like. Speaking of that, have any of you with teens tried a water bottle for training? Isaac is only 4 years from it and I am already preparing my passport so I can exit the country. Well, we have been progressing along pretty well and Mo is pretty bright as cats go. Isaac was so proud awhile back and had to tell me of his efforts in training Mo. Apparently Mo was on the dining room table. Isaac caught him but did not have the spray bottle handy. Being a resourceful bugger, Isaac came up with the only water he had available. He told me, “Dad, I had to spit on him. It was the only water I had.” Now let me tell you, I look at our dining room table with a more cautious eye and thank my lucky stars that Mo was not doing something wrong in the bathroom! I loved the movie “Uncle Buck” when it first came out several years ago. I think every kid ought to have an Uncle Buck – the kind of no-nonsense guy who sort of watches out for the kid, no matter what. 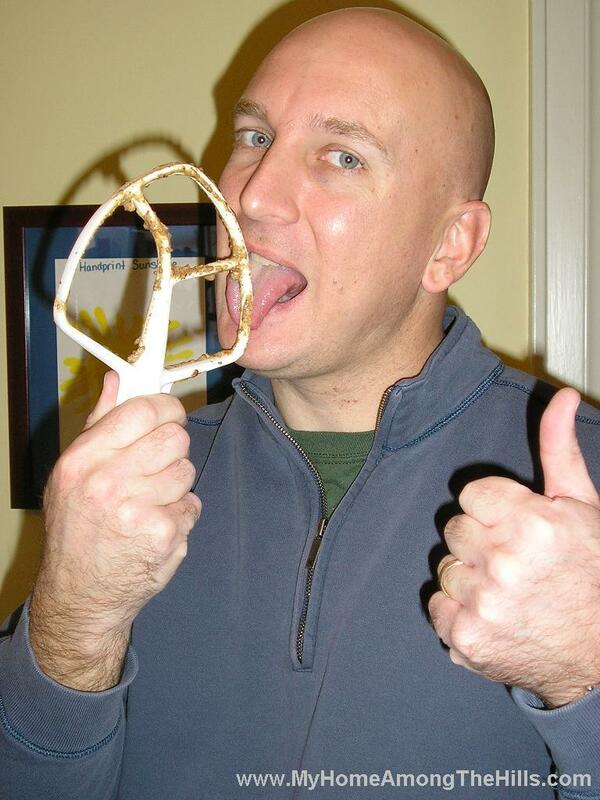 I liked it so much that my kids call my brother Uncle Buck – no, they really do – I doubt they know his real name. So, L2D2 you ask…what does that mean? We don’t know the name or the gender of this child but we have to have to call the little bugger something. We though about superhero names (Emily’s brother has a Superman tattoo) but that seemed sort of gender specific. I’d feel bad if I had called little Becky Spiderman for 9 months. I considered going with Neonate 1 or Zygote Alpha in the style of the Presidential code name system but that didn’t seem to work either. Emily and I both love Star Wars so we decided to go with L2D2, using the initials of the parents and the 2 for…well…version 2 of said parents. 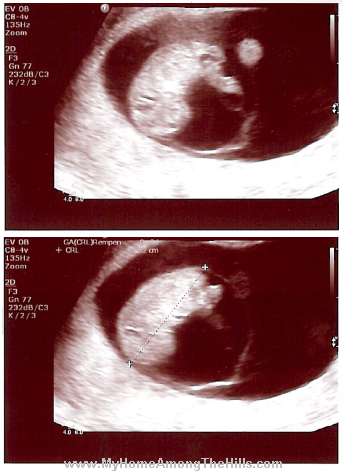 So, without further adieu, I’d like to introduce you to L2D2, my niece/nephew! Congratulations L1D1! We are certainly very excited!